Here’s a compilation of three rail deals from Pullman Rail Journeys, Rail Europe and VIA Rail Canada for early birds. There’s been a pretty consistent flow of value add-ons and discounts from rail companies. Railroads confront the same marketing problem that airlines do: an empty seat is worth nothing, so you might as well make something and in the process create word of mouth. VIA Rail Canada is offering a seat sale on all of its routes throughout Canada that reaches 50 percent off or more in all classes, except Business class. Tickets must be purchased by May 8 for travel from May 21 to Aug. 27. The seat sale discount rates apply to Economy, Touring, Sleeper class and Sleeper Plus classes. Travel from Montréal to Québec City is priced during the sale at CAD$45 ($41), from Ottawa to Toronto for CAD$73 ($67), or from Montréal to Halifax from CAD$119 ($108). Fares in Economy class on the Canadian, start at CAD$124 ($113) between Edmonton and Vancouver. The Edmonton/Vancouver route, with its stellar scenes of the Canadian Rockies, is considered one of the world’s most beautiful train journeys. 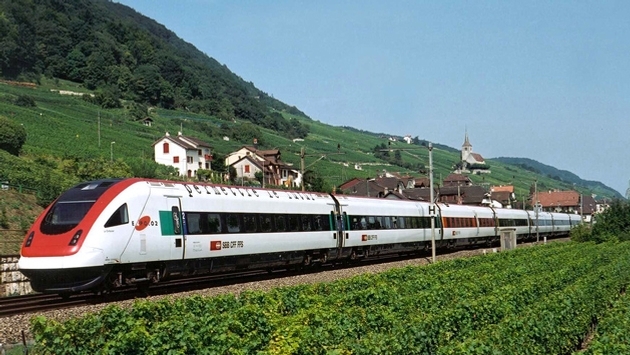 Sleeper Plus class provides a cabin, meals in the dining car and the Panorama car with its floor to ceiling windows for the best views of the mountains, waterfalls and cities. Seat sale fares between Toronto and Vancouver in Sleeper Plus class start at CAD$682 ($621) per person. Rail Europe unveiled a limited-time offer on its gift cards. Agents can offer clients the opportunity to receive up to $75 free on the purchase of a Gift Card. The deal is valid for purchase through May 12. The client can receive an additional $75 when a $500 Gift Card is purchased and an additional $25 when a $250 Gift Card is purchased. Gift Cards are available in five denominations ($25, $50, $100, $250 and $500). In order to push its north bound journey from New Orleans to Chicago, Pullman Rail Journeys is offering what it calls Train Therapy deals. The deal features discounted ticket prices on selected departure dates. The train connects Chicago and New Orleans using classic Pullman rail carriages and offering classic Pullman service and dining. Current discounted rates begin at $120 per person and are available on May 15, June 12 and June 26 departures going northbound.